Christian Bruce – History… the interesting bits! 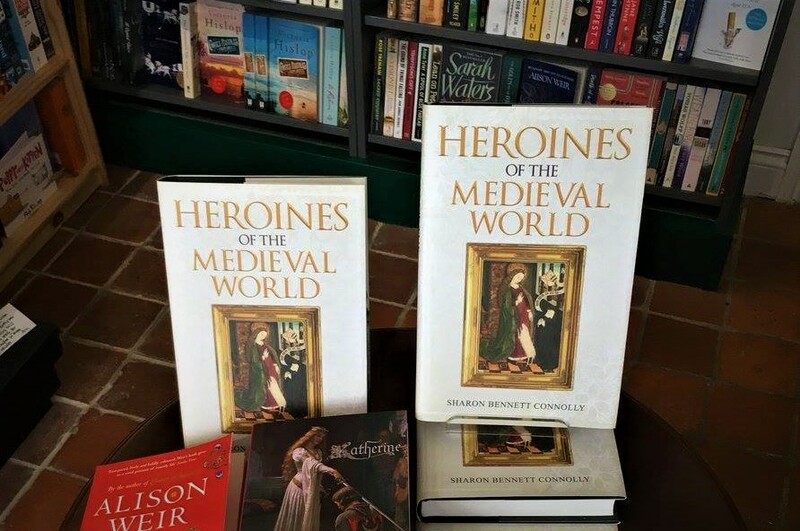 Mum is everyone’s favourite Heroine, in whatever era, and I could not think of a better way to celebrate Mother’s Day than with a giveaway of a hardback copy of Heroines of the Medieval World. The draw will be made on Wednesday 7th March, so you should get the book in time for the day. The winner is ….. Janet Carter. The draw is now closed and I would like to thank everyone for taking part. Christian Bruce was one of the many children of Sir Robert le Brus, Lord of Annandale, and his wife Marjorie, Countess of Carrick in her own right. Christian was one of 11 children, with 5 boys and 5 girls surviving infancy. Unfortunately we don’t know when she was born, nor whether or not she was an older or younger sibling. Christian was probably born at her father’s castle of Turnberry sometime in the 1270s or early 1280s. Christian’s grandfather was another Robert le Brus, one of the 13 Competitors for the throne of Scotland following the death of Margaret, the Maid of Norway; when the vacancy of the Scottish throne was resolved by Edward I of England in favour of John Balliol. And when Balliol’s kingship failed it was Christian’s brother, Robert the Bruce, who became one of the leading candidates for the Scottish throne. There are some question marks over Christian’s marital history. Some sources claim she married Gartnait, Earl of Mar in the 1290s, and was the mother of Donald of Mar. However, this has recently been disputed. Christian never seems to have been addressed, or described, as the Countess of Mar, and there seems to have been little communication between Christian and her supposed son, Donald, even though they were both held prisoner in England simultaneously. The main argument against the marriage appears to be that Abbot Walter Bower had stated that Gartnait had been married to the ‘eldest Bruce daughter’, a description never applied to Christian. However, if the elder daughters were already married, Christian may well have been the eldest ‘unmarried’ Bruce daughter. By 1305, however, Gartanit was dead and Christian had married Sir Christopher Seton (c. 1278-1306). Sir Christopher was a knight with lands in Annandale and northern England. He was a stalwart supporter of Robert the Bruce, his family having had a long tradition of serving the Bruce family. We know little to nothing about Christian’s short marriage to Sir Christopher; their relationship had to take a back seat to the national events of the time. 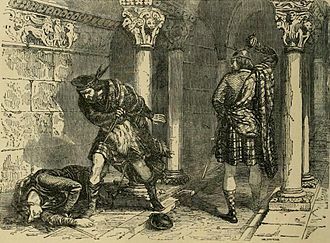 Sir Christopher was with Christian’s brother on the fateful day in the Greyfriars Church in Dumfries, when Robert the Bruce fatally stabbed John Comyn, his rival to the Scottish throne. Robert then made the dash for Scone, hoping to achieve his coronation before the Christian world erupted in uproar over his sacrilege. An excommunicate could not be crowned. Christian accompanied her brother, his wife Elizabeth and daughter Marjorie and her sister Mary to Scone Abbey. 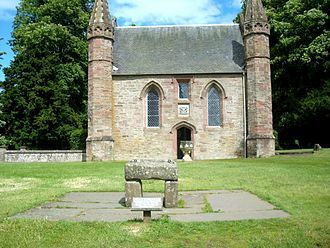 The Stone of Scone was the traditional coronation seat of the Kings of Scotland and, although the stone had been stolen by the English and spirited away to London, holding the coronation at the Abbey sent a message of defiance to the English. Scone Abbey with a replica of the Stone of Scone in the forefront. On 25th March 1306 Christian, alongside her husband, saw her brother crowned King Robert I by William Lamberton, Bishop of St Andrews, just 6 weeks after Comyn’s murder. The next day saw the ceremony repeated following the late arrival of Isabella MacDuff, Countess of Buchan, who claimed her family’s hereditary right to crown Scotland’s kings (despite her being married to a Comyn). Robert’s coronation was the start of the most desperate period of his life – and that of his supporters. Edward I of England was never a one to casually acquiesce when he saw his will flouted. He sent his army into Scotland to hunt down the new king and his adherents. 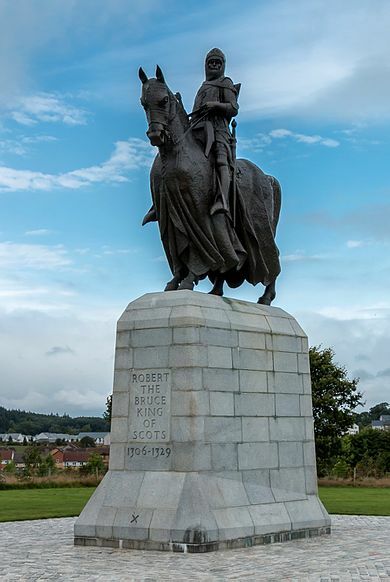 After his defeat by the English at Methven in 1306, Robert went into hiding in the Highlands. He sent his wife and daughter north to what he hoped would be safety. Christian, her sister Mary and the Countess of Buchan accompanied them, escorted by the Earl of Atholl and Christian’s brother, Sir Neil Bruce. It is thought that the Bruce women were heading north to Orkney in order to take a boat to Norway, where Robert’s sister, Isabel, was queen consort to King Erik II. Unfortunately they would never make it. The English caught up with them at Kildrummy Castle and laid siege to it. The defenders were betrayed by someone in their own garrison, a blacksmith who set fire to the barns, making the castle indefensible. 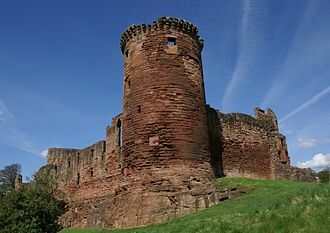 The women managed to escape with the Earl of Atholl, but Neil Bruce remained with the garrison to mount a desperate defence in order give the queen, his niece and sisters enough time to escape. Following their capitulation the entire garrison was executed. 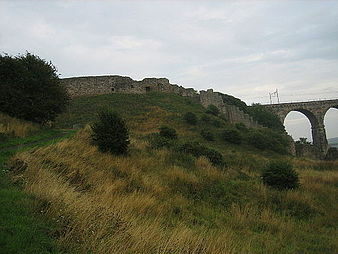 Sir Neil Bruce was given a traitor’s death; he was hung, drawn and quartered at Berwick in September 1306. Christian and her companions did not escape for long; they made for Tain, in Easter Ross, possibly in the hope of finding a boat to take them onwards. They were hiding in the sanctuary of St Duthac when they were captured by the Earl of Ross (a former adherent of the deposed King John Balliol), who handed them over to the English. They were sent south, to Edward I at Lanercost Priory in Cumbria. 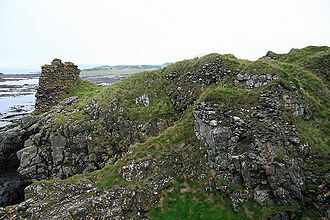 Following the coronation Christian’s husband, Sir Christopher Seton, had been sent to hold Loch Doon Castle against the English. Following a siege the castle was surrendered by its Governor, Sir Gilbert de Carrick. Seton was executed on the orders of Edward I; the poor man was hanged. Christian’s sister Mary and Isabella, Countess of Buchan, were treated particularly harshly by Edward I. The English king had special cages built for them and for centuries it has been thought they were suspended from the walls of the keeps at Roxburgh and Berwick Castles, exposed to the elements and the derision of the English garrisons and populace, and a taunt to the Scots just over the border. However, the cages were in fact indoors, within rooms in the castles’ keeps. 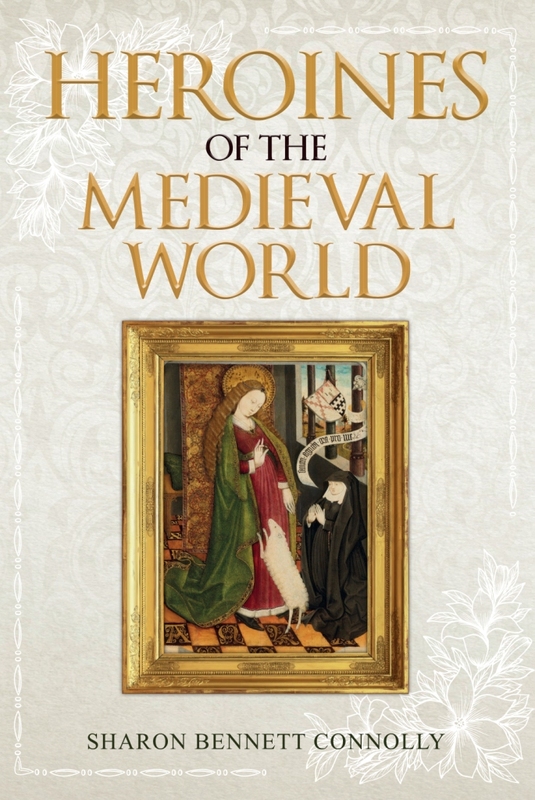 In contrast, Christian was sent into captivity to a Gilbertine convent at Sixhills in Lincolnshire; she was probably told of her husband’s death – and the manner of it – some time during the journey south. Christian languished at Sixhills for 8 years, until shortly after her brother’s remarkable victory over the English at Bannockburn, in 1314. King Robert the Bruce had managed to captured several notable English prisoners, including Humphrey de Bohun, 4th Earl of Hereford and Essex. Suddenly in a strong bargaining position, the Scots King was able to exchanged his English captives for his family, incarcerated in England. Once home in Scotland Christian joined her brother’s court. In no hurry to remarry, she accompanied the king and his family on a short progress around Tyndale, an area of Northumberland which was officially in Scottish hands. Some time after her return to Scotland, Christian had also been granted the Bruce lands of Garioch in Aberdeenshire. The Scottish Wars of Independence took a heavy toll on Christian’s family. Having lost her brother and husband in 1306, she lost her 2 younger brothers on the same day in 1307. Thomas and Alexander Bruce had been leading a force into Galloway when they were overwhelmed by the forces of Dungal MacDouall, a supporter of the Comyn faction. The brothers, both in their early 20s, were handed over to the English and were beheaded at Carlisle on 9th February 1307. Robert and Christian’s surviving brother, Edward, was killed in battle in Ireland in 1318. The sad losses must have seemed endless to Christian. In 1316 King Robert had lost his daughter, Marjorie, in childbirth. She was just 19. Her son, Robert Stewart, survived and would be the king’s heir until the birth of his only son, David, in 1324. Marjorie’s son would eventually succeed as King Robert II following his uncle David II’s death in 1371. And in 1323 Christian’s sister Mary died; Mary had survived 4 years imprisoned in an iron cage at Roxburgh Castle before being transferred to a more comfortable imprisonment in 1310. It wouldn’t be surprising if her inhumane incarceration had contributed to Mary’s death in her early 40s. Christian remained unmarried for many years. Although their marriage had been a short one, Christian kept her husband’s memory alive for many years to come; in 1324 she founded a chapel in Dumfries in his honour. There is a possibility she was the Bruce sister mooted as a bride for Sir Andrew Harclay, earl of Carlisle, as part of a peace treaty with Scotland in 1323. However, negotiations broke down and the marriage never took place. Christian eventually married in 1326, to a man who was probably about 20 years her junior. Her 2nd husband was Sir Andrew Murray of Bothwell, posthumous son of the Sir Andrew Murray who had fought beside Sir William Wallace in the victory at Stirling Bridge. Christian and Andrew were to have 2 children, sons. Their eldest, John, married Margaret Graham, Countess of Mentieth, sometime after 21st November 1348. 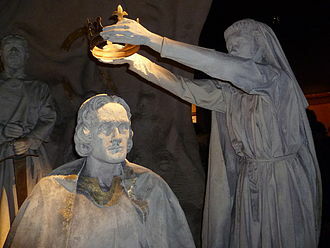 John died in 1352 and Margaret would go on to marry Robert Duke of Albany, brother of Robert III and a great-grandson of King Robert the Bruce. A 2nd son, Thomas, would marry Joan, a daughter of Maurice Moray, Earl of Strathearn, and died in 1361. On the death of Christian’s surviving brother, Robert the Bruce, in 1329, Scotland was once again thrown into turmoil. 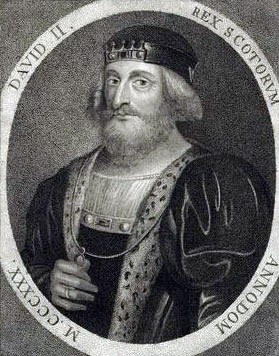 His 5-year-old son, David, was proclaimed king, with regents set to rule for him. As a member of the royal family Christian took part in David’s coronation in 1331. She shared a room in Scone Palace with her nieces, the new king’s sisters. The English, however, saw the Bruce’s death as an opportunity and backed Edward Balliol‘s invasion of Scotland. Edward was crowned king in 1332, but could not consolidate his position. In the same year Murray was chosen as Guardian of Scotland and spent the next 5 years fighting the English and repulsing their attempts to return Balliol to the throne. Again, Christian found herself in the thick of the fighting when Sir Andrew installed her as keeper of Kildrummy Castle. 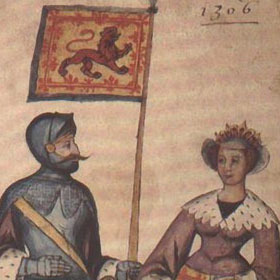 In 1335 she was besieged by one of Balliol’s commanders, David Strathbogie, earl of Atholl. Her husband marched to her aid with a force of over a thousand men; he was able to surprise Atholl and defeated him at Culblean. 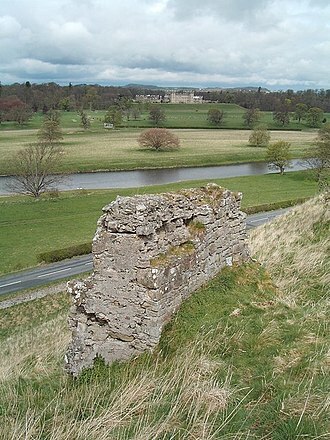 Christian remained in possession of Kildrummy Castle even after Sir Andrew’s death; her husband had died at Avoch Castle in Ross in 1338, having retired from national politics the year before. 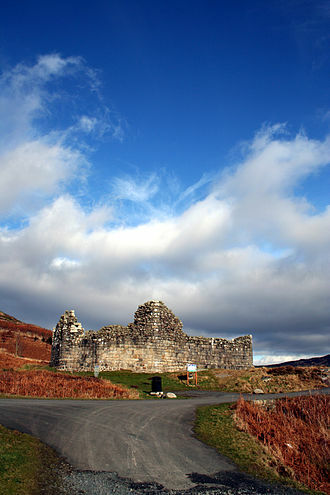 Christian is known to have entertained her nephew’s wife, Queen Joan, at Kildrummy Castle in 1342. David II was generous to his aunt, providing her with an income from a number of sources, including the customs of Aberdeen. It is believed that Christian died sometime in 1356, the last time she was mention in the exchequer rolls. She must have been well into her 70s, a great age for the time. I couldn’t find any source to confirm where she was buried; however, her husband was initially buried in the chapel at Rossmarkie, but later reinterred in Dunfermline Abbey, suggesting that this is also Christian’s resting place. It would be appropriate if it was, as so many of her ancestors and family are buried there; including her husband, brother, Robert, and niece, Marjorie. Sources: The Story of Scotland by Nigel Tranter; Brewer’s British Royalty by David Williamson; Kings & Queens of Britain by Joyce Marlow; educationscotland.gov.uk/scotlandhistory Mammoth Book of British Kings & Queens by Mike Ashley; Oxford Companion to British History Edited by John Cannon; Edward I A Great and Terrible King by Marc Morris; Britain’s Royal Families by Alison Weir; oxforddnb.com; thefreelancehistorywriter.com; englishmonarchs.co.uk.